The celebrations and traditions are the true reflection of the people and the culture of these valleys. 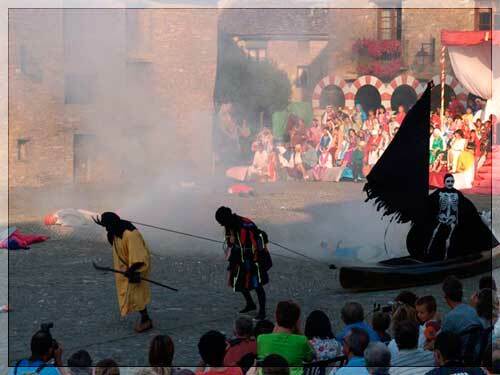 Celebrations that are present in every corner of the Pyrenees and which stand out for their originality or for their ethnological and anthropological interest. Some of these festivals survived the passage of time and were transmitted from generation to generation. Others were recovered years later by their descendants, but all of them constitute these days a valuable legacy of our ancestors. Popular representation which commemorates the appearance of the cross on the tree in the heat of the battle for Aínsa against the Muslims. This festival is held on the first September Sunday of even-numbered years. Winter has arrived: time for unbridled joy. Carnival arrives under ancestral costumes and laden with symbolism. It is one of the most celebrated holidays in these valleys. 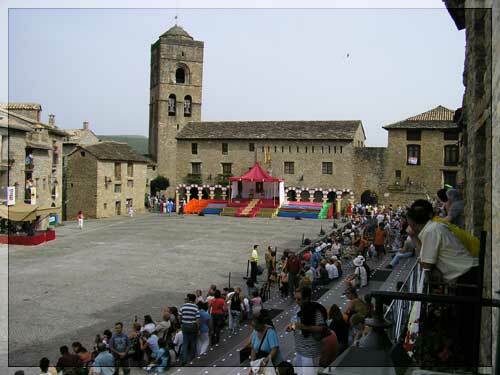 Noteworthy is the carnival of Bielsa which can be considered one of the most genuine ones from the Pyrenees, but also the ones held in San Juan de Plan, La Fueva, Terla or Nerín. Descent along the river Cinca on platforms made of wood logs and guided by nabateros (i.e., the person captaining the platform). 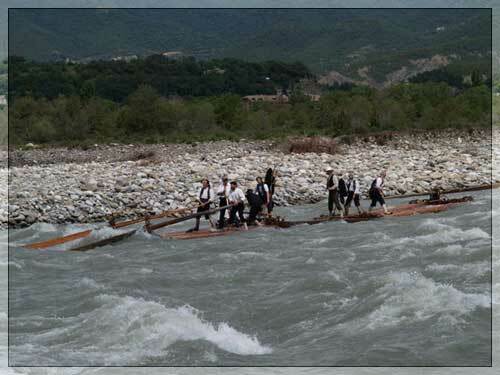 This was the old fashioned way of transporting wood from the villages of the Pyrenees to the mouth of the Ebro. 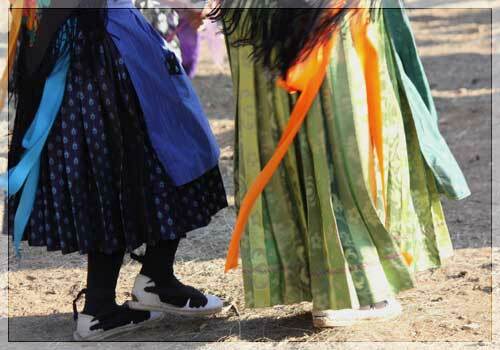 In addition to the above holidays, Sobrarbe has an extensive repertoire of dances and traditional music that remain extremely popular in the whole region. Noteworthy are : the "Paloteau" dances , represented mainly in villages in the basin of the river Ara; the "Biello Sobrarbe" Association, which recovered and today performs many of the old dances from this region; a music group La Ronda de Boltaña that performs at the local fiestas and tours the region of Sobrarbe.